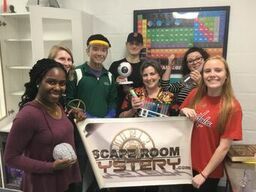 Grannas lab group team-building event – Escape Room! We made it out of “The Lab” in under an hour … (we were told the 8th fastest time for a group of our size). Not too shabby!